What’s in a year? So many memories on a personal level. But in some years, there is catastrophic change, be it good or bad. Cherry Heering is set to celebrate 200 in business in 2018. 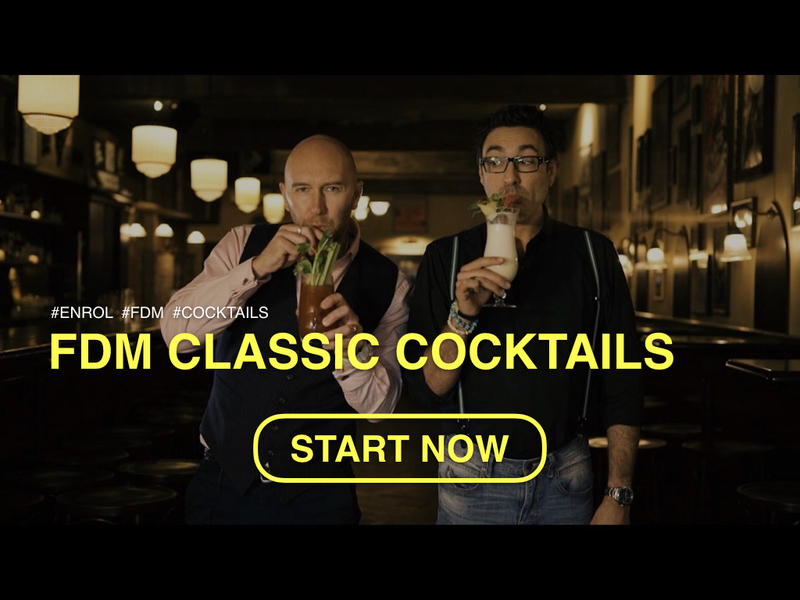 It’s a milestone the brand will mark by contacting the most illustrious bartenders around the globe, giving each the option to take one year and divulge what it means in terms of not only drink culture but of global humanity. 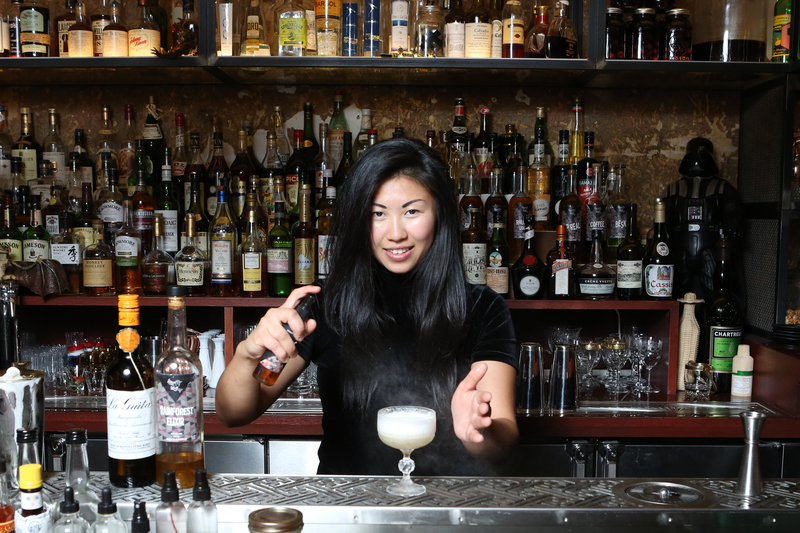 Hong-Kong-born Evelyn Chick works today in Toronto, at the acclaimed bar PrettyUgly on Queen Street. Petite, known for a love of and a skill with gin tipples and a famously warm smile, she was a natural choice for Cherry Herring in the endeavor. Her year of choice was 1841––and there’s a lot to be said for the moments within. The year of 1841 was a big one globally. In New York City, America’s first steam-powered fire truck engine was tested. New Zealand was proclaimed an independent colony from New South Wales, and Queens University in Ontario, Canada got its charter. However, for Asia, the years leading up to 1841 were times of upheaval, war, a drug crisis and a trade imbalance. To fully understand this time, you have to look back to the 1700s and early 1800s. Europe was experiencing a period of high demand for Chinese imports––particularly tea, porcelain and silk. The Chinese were rapidly seeking silver, imported from Europe. To evade these regulations, traders in the British East India Company began auctioning opium to independent traders in exchange for the English silver. The drugs then made their way up the coastline and into central China. It would create not only a rise in opium addiction around this region, but also a serioustrade imbalance. This would all come to a climaxin 1839, known as the First Opium War. It lasted from 1839 to 1842. It was in 1841 that China ceded the island of Hong Kong to the British, officially signing the Treaty of Nanking in ‘42. Theisland and its inhabitantsbecame a Crown Colony of the British Empire. It would remain under Great Britain until 1997. “Though the history that led to this event was a blood bath from the Opium War, the influx of European immigrants allowed this tiny military staging point grow to a culturally rich, international city of 7.3 million in population,” offers Evelyn Chick, who grew up in Hong Kong until the age of 15 and wanted this pivotal year of 1841 in order to inspire andcraft her cocktail––the Bad Blood. she says. It’s a slight play on the famous Blood & Sand, without the citrus. The Port adds the drink’s necessary acidity. Known for her simple executions of complex flavors in a glass, Chick works to adapt her menus to the palates of her guests, whether it’s at the bar at PrettyUgly or at her own home entertaining. In fact, her fascination with drink design began at a very early age, in her childhood, Hong Kong home. She often joined her parents when they hosted business meetings, serving up, Chick recalls, an array of beautiful wines, Martinis, Port and Scotch whisky. “I wanted to be involved, and was constantly finding ways to ‘host’ my father’s foreign business partners,” she laughs, “by shaking up zero-proof cocktails at home. Hence, I took interest upon spirits and wine at a young age.”Cherry Heering was among these early introductions, if in name alone. she recalls. An early admiration would lead to a significant moment for Chick in Asia, as her career blossomed. Which year were you given? What is the major event or story from that year which has inspired your cocktail? The year that Hong Kong became a Crown Colony of the British Empire. The year that Hong Kong became a Crown Colony of the British Empire. Though the history that lead to such event was a blood bath from the Opium War, the influx of European immigrants allowed this tiny military staging point grow to a culturally rich, international giant of a city of 7.3 million in population. My parents taught me to enjoy the finer things in life at a very young age. I vividly remember being brought along to business meetings with their partners, men and women – admiring in awe as they enjoyed the finest of wines, martinis, port, scotch… you name it, prized European goods. I wanted to be involved, and was constantly finding ways to ‘host’ my father’s foreign business partners by shaking up zero proof cocktails at home. Hence, took interest upon spirits and wine at a young age. I remember the fascination towards the ‘Singapore Sling’, and the economical status it carries if you knew how to order it at a bar. The ‘Bad Blood” cocktail signifies a gleam of hope and growth coming from a seemingly devastating event. Where did you get the information about your year and your event? How did you go about your research and was it a challenge or super easy? Not difficult at all! We all learnt about it in elementary school in history class, just had to brush up on some history lessons. What flavors inspired your cocktail? Using ingredients my father loved when I was a child. Port, scotch, pairs perfectly with the marzipan, luscious sweet spice & cherry from Heering. Comforting as it reminded me of holidays as a kid ( my father loved dark spirits and bold flavours and used to use it in cooking lots – duck, lamb etc with fine wines – the life!) … In its bittersweet complexity, Cherry Heering pairs perfectly with the rootiness of sweet Vermouth and Late Bottled Vintage port, Islay scotch that carries a pack of punch and peat makes a velvety, luscious drink. Would you say this drink resembles or plays off a classic cocktail we already know, or is it all its own creation? If there are any homemade ingredients, please specify how to make them. Pour ingredients over one large cube in an Old Fashioned glass, stir to dilute and zest an orange peel over top to release oils. Do you have a Cherry Heering story or memory you can share? 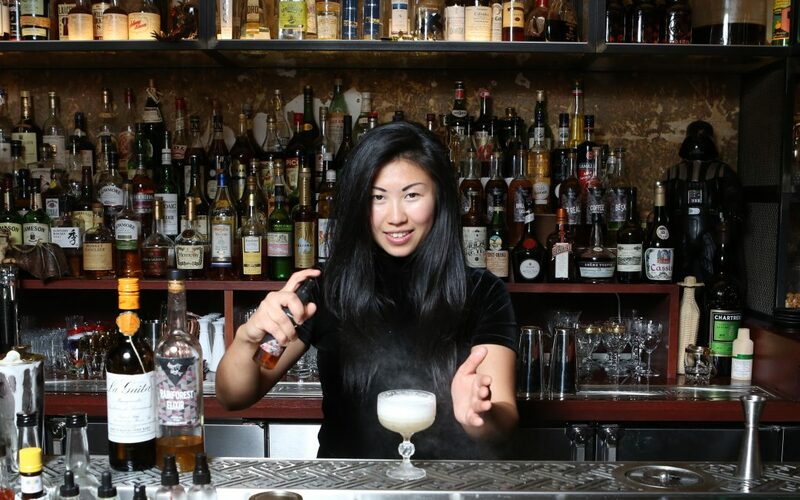 A few years back, I had the privilege of being the first ever guest bartender at the Long Bar in the famed Raffles Hotel in Singapore during the inaugural Singapore Cocktail Week. It was incredible to watch the volume of Singapore Slings that went out from that bar to serve guests from all over the world. I made a menu surrounding Cherry Heering and had the pleasure to make a few Singapore Slings using the original recipe in its home bar. A bucket list experience ! What current trend in the industry do you find exciting and/or progressive? 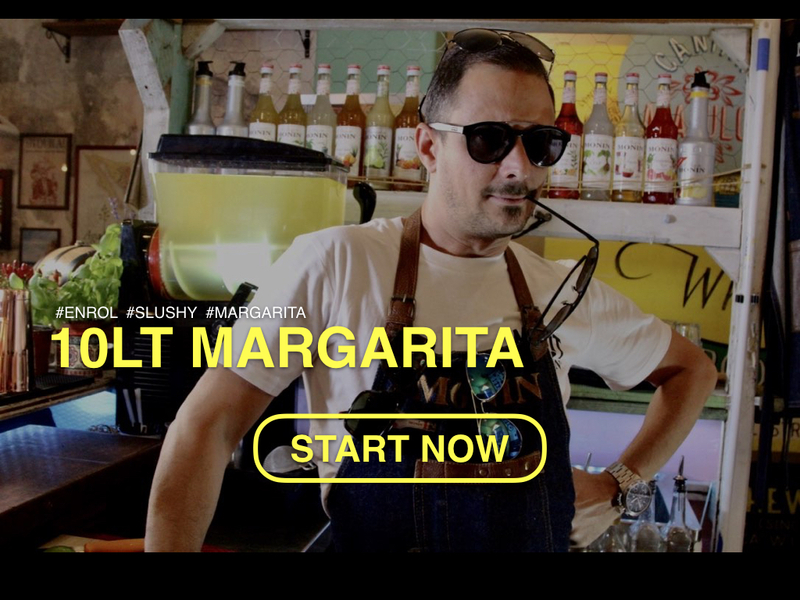 Conscientious bartending – awareness on consumption, waste management and direct effects on the environment. What’s needed most right now overall in our industry and why? Support from others in the industry, kindness, love and patience towards guests from all walks of life. I think the world can use a little more of that, all the time. How would you describe your style of drink making? Where do you pull from in terms of history and where do you learn from most in the modern world, in terms of others you admire and emulate? Simple execution, but complex and honest flavours. Honouring the classics in its combination of ingredients but also adapting to the palettes of your guests. Best way to learn: from your guests. If every bartender just made what they felt like making, then the appreciation for cocktails will be limited to a very small crowd. My admiration comes from the passion towards the industry from many, but mostly from my peers who just want to pass on knowledge, people who elevate the level of drink because they care for who is in front of them. If you could banish any one cocktail trend forever in the world, what would it be and why that one? The trend in which people piss on serving vodka sodas. Just give em what they want!